More Thoughts On Margaret Mahy’s “The Changeover” — A Tale of “Layers” here on my own blog. 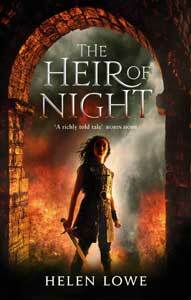 Now I have a copy of the author’s latest re-release, The Haunting, to read and I hope enjoy as much. 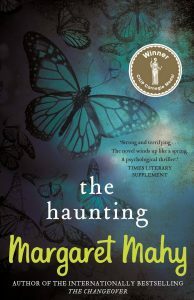 The Haunting is also a Carnegie Award-winning book, although I believe it is aimed at a slightly younger age group: Junior fiction as opposed to YA. With the help of his sisters, Tabitha and Troy, Barney sets out to uncover the truth about their family secrets and to find out once and for all who it is who’s haunting him.